Google does an excellent job making sure only content of the highest quality shows up in their search results. To do this Google is constantly updating their algorithms so that only the best results are show in the first positions of a search. Along with these constant updates come penalties. Many practices that were once considered good link building or SEO strategies could now end up punishing you with Google’s constantly changing algorithms. 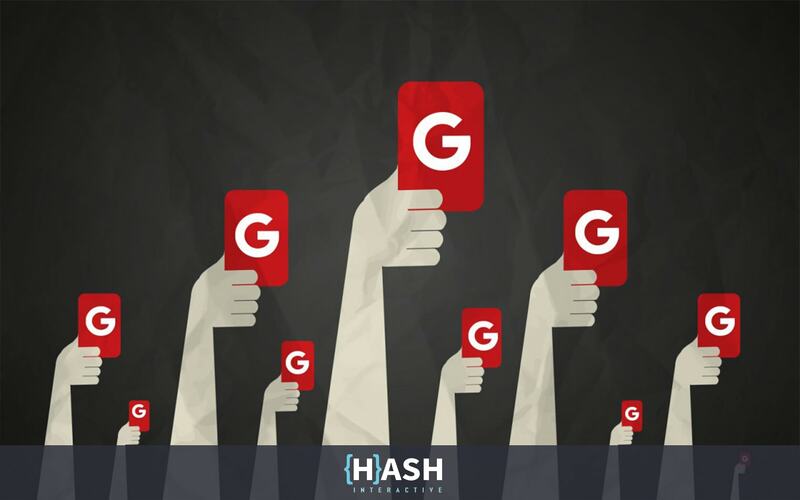 If your page has started to plummet in the search ranking for your major keywords it might be worth checking out some of these eight common reasons that your website could be getting penalized by Google. Poor Mobile Website – This is an extremely common issue that can cause your website’s rankings to fall. Google has a great tool that you can use to see exactly how it’s web scrapers view your content on mobile. https://www.google.com/webmasters/tools/mobile-friendly/ If your website does not do well in this test it means that your site will rank lower when users search your keywords on mobile phones. Purchasing Links – Buying links in bulk from directory websites or websites that have tons of outgoing links could serve as a red flag for search engines. If you are taking part in any of these black hat link building strategies then it is best to stop immediately. Even having old links in some of these directories can negatively impact your search engine rank. Some instances of this can be hard to track. If you were to pay a popular blogger to give you a high quality link on your site it would be very difficult if not impossible for Google to track this. The link would need to flow and fit well with the content around it though, if the blog writer is just throwing links in unrelated content even this purchased link it not going to help you. Little to No Outbound Links – Search engines want to see that your website is contributing to the web. A website that has both a healthy amount of inbound links and a healthy amount of outbound links is paramount for good results in search engine rankings. Speed Issues – If a site has slow speeds not only does it lead to a worse user experience, but it can cause you to rank worse as well. If your site does have speed issues make sure you are taking advantage of caching, image optimization, or possibly making use a CDN. These precautions can help your websites speed along with increasing your SEO. Overly Targeting Keywords – Having a blog post that targets a certain keyword is an excellent way to improve your website’s SEO. Overdoing it however is a great way to get your site penalized. Keyword stuffed articles are easy for Google to find and just as easy for them to penalize. As a rule of thumb: write high quality content designed for real people. If you are doing this you are on the right track. Be careful not to over-optimize content on your website. Rapid Link Building – As with anything in life doing too much of something can often be just as bad as doing nothing at all. When first starting an SEO campaign it is important to start small and consistent. Improving your websites search ranking is a process that takes time. Trying to expedite the process too much can have negative implications for you. Consistency if better than generating large amounts of links at breakneck speeds. If tons of inbound links start popping up all over the web targeting the exact same targeted keyword it can be a red flag to Google. Links the Wrong Places – If unscrupulous websites have links pointing to your site it a surefire way to hurt your search engine rankings. You should be very careful who you associate yourself with on the web. Links are essentially recommendations from other sites to yours. Links coming in from unethical or malicious sites serve as negative recommendations and effect your SEO accordingly. Hidden Links – All links on your site should serve a purpose for visitors. One common black hat link building tactic is hidden links on your site. If links on a website are set to have a display: hidden; in CSS it is a red flag for search engines. This also goes for links that are set to the same color as the background of your site. If you have any of this links on your site delete them immediately. If there is any one thing to take away from this is Google incentives high quality content that has links from naturally occurring sources. If your article or blog is beneficial to real people, then real people will be more inclined to share it and create back-links for you in the most beneficial way possible. Is Your Company Telling the Right Story?